2 What is Mass Spectrometry? 4 Conclusion: Why Use CA-FLIM? Appendix Reaction scheme of the photosynthate metabolism in metatool format (discussed in Section 3.2). Systems biology is a term used to describe a number of trends in bioscience research and a movement that draws on those trends. 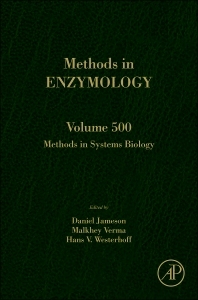 This volume in the Methods in Enzymology series comprehensively covers the methods in systems biology. With an international board of authors, this volume is split into sections that cover subjects such as machines for systems biology, protein production and quantification for systems biology, and enzymatic assays in systems biology research.